With ever-growing complexity of systems to be modeled, there is a strong need for a proper theory of complexity, other than the algorithmic complexity known in computing. The problem is that there is no unanimous consensus as to what complexity is. Several attempts have been made, some are very promising, but a widely applicable theory and practice have not been derived. Quantification is an essential step in modeling to achieve prediction and control of a system. Quantification is also a crucial step in complexity and some complexity quantification models are emerging. 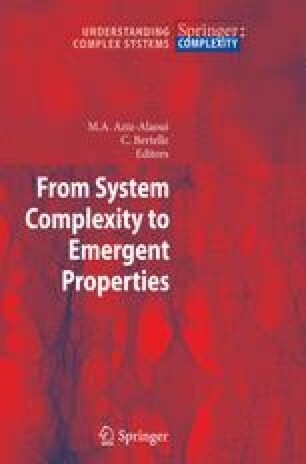 In this chapter, a unifying and systematic approach to complexity is proposed. Its aim is to bring some clarity into the unknown, and a step further towards predictability. It serves as an overview and introduction, in particular to the novices on how to deal with complex system as a practical approach. Some practices summarized here are elementary and others are quite ambitious. It happens over and over that the uninitiated researchers make errors, reinvent the wheel or fall into traps. The purpose of this chapter is to offer good advice and a sense on how to avoid pitfalls.